Leveraging the native "live tile" design of the OS, we built different sized tiles that would each house a different app on your Locket. 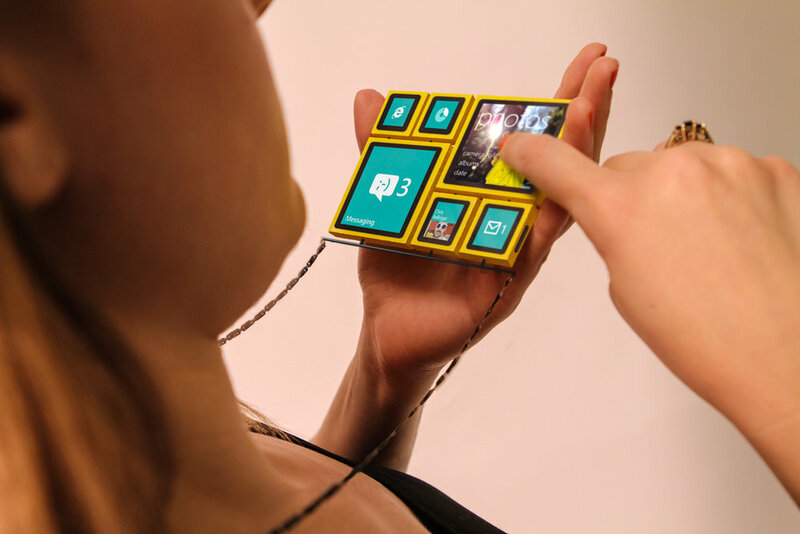 "With Windows Phone Locket, you get complete access to over 130,000 apps in the Windows Phone Store. And since each tile can hold one app, the more Live Tiles you add, the more your Locket can do. 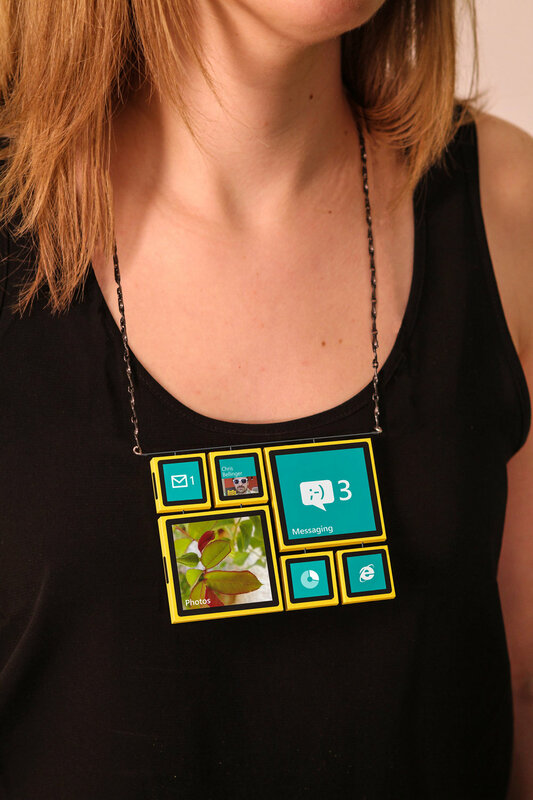 Like changing outfits, changing tiles on your Locket ensures you have just the right apps just where you need them." In fact, we weren't allowed to publish this first image because Microsoft's legal team said it was too close to an actual product they had in development. 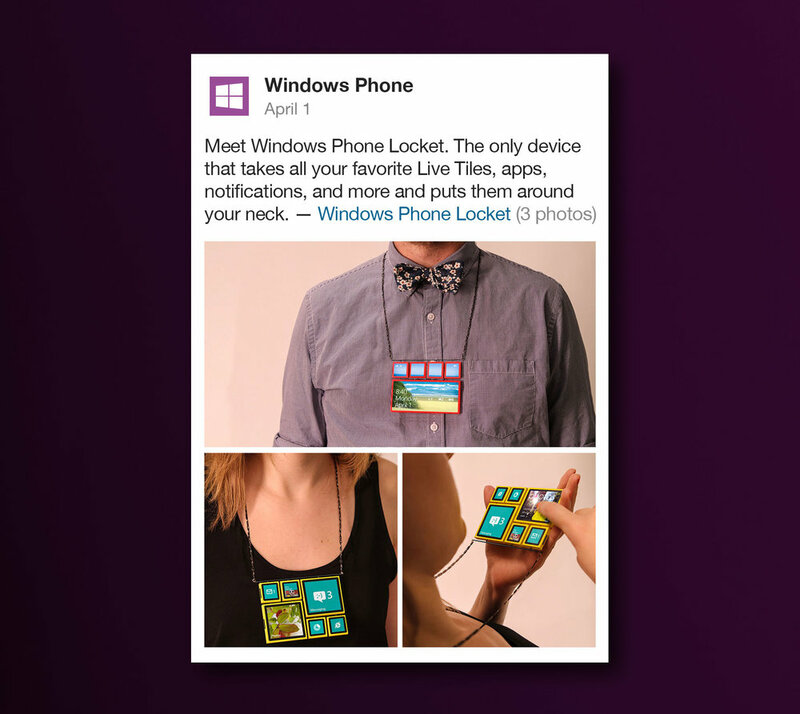 Our Windows Phone "Locket" efforts were recognized in AdWeek's April Fools' Day 2013: Best of the Brand Hoaxes.